1. Find the perfect pattern and material. After searching for quite a while, Miriam picked out McCall's Evening Elegance pattern #3954 for the bridesmaid dresses and Simplicity pattern #9497 for the flower girl dresses. 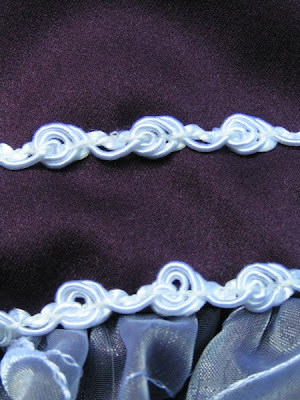 Her wedding colors are plum and white, and after looking for a long time, we finally found the perfect color satin at Hancock's, along with the same color sheer overlay for the bridesmaid's and white braid, and a white overlay for the flower girl's at Hobby Lobby. 2. Cut out the dresses, making sure you have multiple measurements and making alterations as needed. I cut out and began sewing the flower girls' dresses, then when Miriam was home one afternoon, she and I made a great team cutting out the bridesmaids' dresses. I chalked most of the pattern pieces on the fabric, making alterations as needed - a lot of them needed lengthening for the tall bridesmaids! Miriam came behind and cut them out. 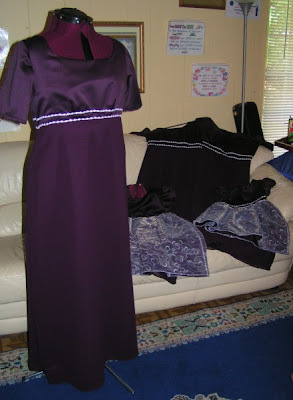 I also made the necklines a bit higher, as the pattern made them a bit low, and after Miriam didn't like the too "poofy" sleeves on the first dress, I took those out and used a different pattern's sleeves instead. 3. Spend hours sewing at away at your sewing machine. My serger helped a lot, finishing seams nicely, and making lovely rolled hems on the flower girl dresses. 4. Enlist help as needed. Meet Miss Dee-Dee! Her real name is "Dear Dummy" but she's a bit sensitive, so I call her Miss Dee-Dee for short. 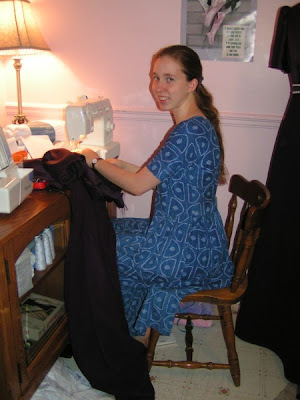 =) As a thank-you for making the dresses, Miriam generously bought me a dressmaker that I picked out off of Ebay! It was so wonderful as I made each dress, to be able to adjust the dressmaker to match the measurements of each woman, and fit the dress to it, since the bridesmaids live rather far away and wouldn't be able to come for fittings! This made sure that they'll fit right (hopefully!). She's been a great help! Isn't the braid lovely? It adds the perfect finish to each dress. It was time consuming to sew it all on by hand, but I managed to do it while watching things or listening to the radio. I finally finished the last dress on Thursday evening, staying up later then I should have sewing the last two rows of braid, but wanting to finish the dresses once and for all! Miriam's maid of honor is our sister Lydia, and her bridesmaids are two of her good friends from college. The flower girls are our sweet neices, Sara Rose, age 4, and Lisa Beth, almost 2! Hope you enjoyed the pictures! I am very grateful for all the sewing I've done over the years, in order to prepare me for sewing these more intricate dresses! 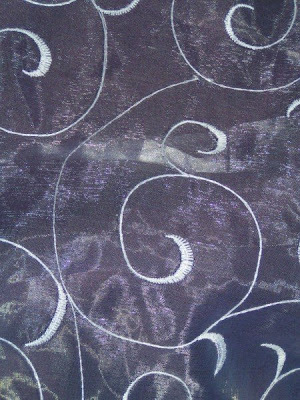 Thankfully, the different kind of fabrics weren't too hard to work with, and my machine didn't mess up, praise God! Those dresses are BEAUTIFUL!!! I envy your sewing abilities! You do such great work! You could make a living with your talent!!! Do you have any tips for making gathering less of a pain? I have been sewing a lot lately and gathering continues to flummox me. I have a lovely apron pattern I want to try but it has lots of gathering in it. You are such a talented seamstress! 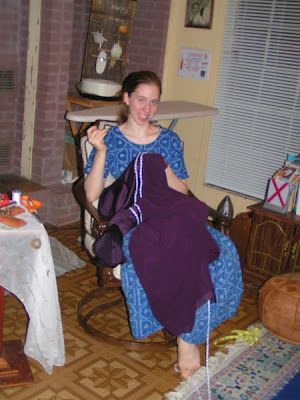 I confess, I still only have a vague idea of how to sew! I especially love the little flower girl dresses! They are so beautiful and precious! Congratulations! 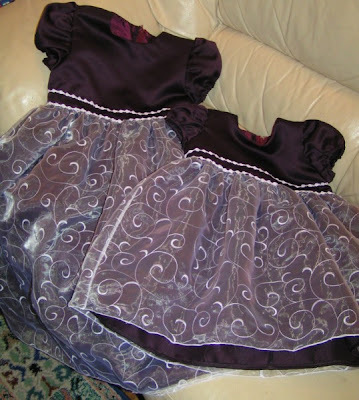 My girls' flower girl dresses are lovely, it's nice to finally see them! :) Thanks for working so hard to make them, Anna! The flower girls dresses are so cute! They look like something your could get at JCPenny or some other clothing store! Absolutely lovely! God has blessed you with real sewing abilities, and I'm so glad you could serve your sister in this way!! Wow! Great job! They are beautiful! I am glad you have Dear Dummy... um, sorry... MISS DEE-DEE to help! I love the colors too! How sweet! My sister will have to be my 'Anna' for me! OH my Anna! That is all I can say! Your ability to sew must be SUCH a blessing for you. As I grow older I find I need to sew more and more. Where do I start? How do I start? My Mom is going to get an intructor, but I think I could at LEAST try for myself. 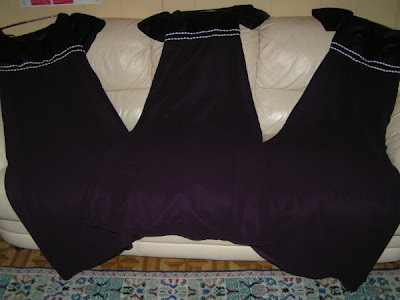 I've been sewing for more than thirty years and I still don't like gathering. I'll do it if the pattern requires it, but I can't honestly say that I enjoy it. (and setting in gathered sleeves...grrr!) Give me godets, pleats and tucks anyday over gathering! Have you ever heard of this technique for gathering? I heard about it years ago, but haven't tried it yet. I think I will try it next time I have to gather something. If you do happen to discover or invent some magical method to make gathering a delight PLEASE let me know about it! Ella: I'm glad they look like they could have come from a store (in other words, well made) but part of the reason we made the dresses is because we couldn't find things like them at a store. Almost all formal dresses these days are strapless or spaghetti strap, or in the rare event that they even have sleeves, they're often too low in the neckline, etc. We had fun deciding exactly what we wanted to make! Mrs. Hart: That technique looked interesting! So far, regular gathering has worked well for me, though. The part I dislike more than gathering skirts is gathering sleeves... I always tend to sew them in wrong at first and have to re-do re-adjust them! To each their own annoying thing, I suppose. Abigail: Thanks for the thought, but right now I'm not up for hire. =) Maybe one day... we'll see where God leads. Thanks for that link. I think I will try that method - I'll report how it goes. How lovely! You sew beautifully! These dresses are beautiful! I wish I knew how to sew like that. What a gift God has given you. Wow, y'all have such talent at sewing! I sew some also, but have trouble finding the time to do it. What beautiful dresses!! That is the exact color I want when I get married one day!! You did such a great job on them!! 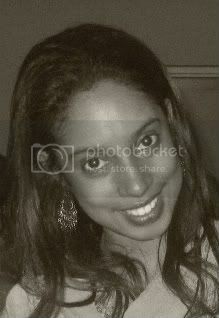 There so beautiful...love your blog..